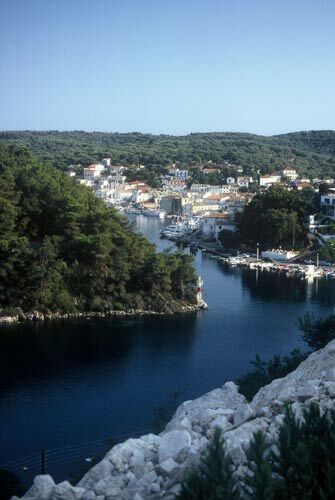 Gaios is the picturesque seaside capital village of the island of Paxoi. The village’s central square is ideal if you want to gasp the island’s atmosphere. There are many taverns and cafeterias, as well as little paved streets leading to touristic shops, cafeterias and even more traditional taverns. The church of Aghioi Apostoloi is also at the central square. 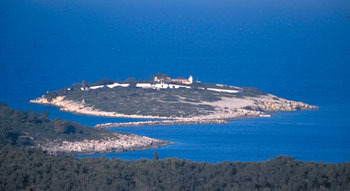 The monastery of Panaghia on the isle of Panaghia.